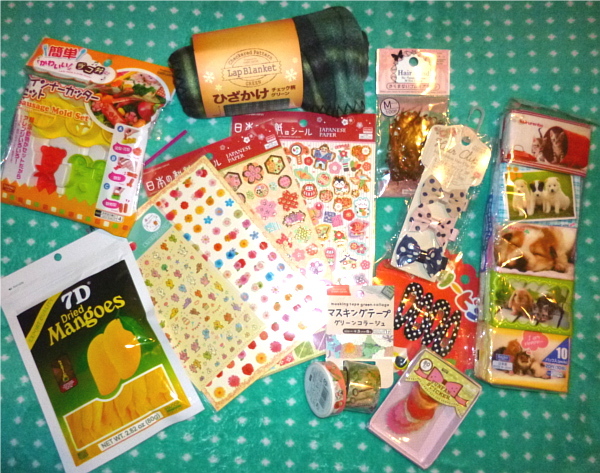 I'm A Table: Daiso Haul: Stickers, etc. I performed some high-level adulting earlier in the week, and as a treat for myself I went to Daiso afterwards. I used to go at least once a fortnight when I worked in the city, but I haven't been for about 6 months. It felt like a special experience again. 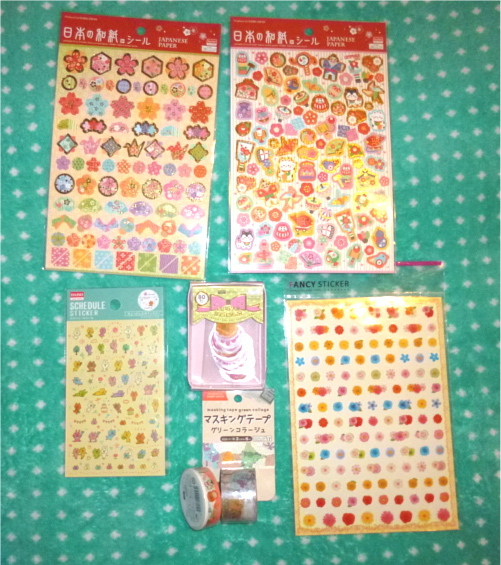 Oh, and sorry for the bad lighting -- it was night-time by the time I got home, and I wanted to start using the stickers straight away. 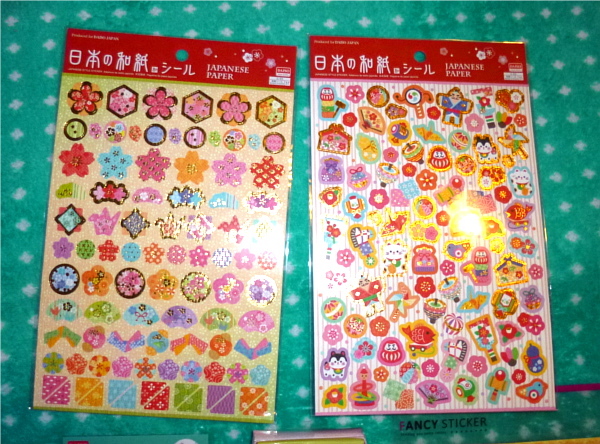 I mainly went for the stickers to use in my Hobonichi diary, but also came away with some hair accessories, and gifts for all the family. I bought a hotdog decorator kit for Husband, and a cat-sized blanket for Sharick. 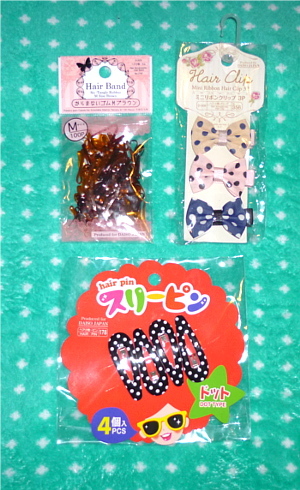 Cute, mori-style hairclips. I also re-stocked on these tiny hair ties. I find them indispensible, but they don't last very long. These stickers are particularly beautiful. They have a soft, fabric-y feel to them. If you're playing Pokémon Go, stay safe!